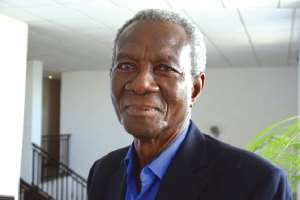 Economist Kwame Pianim wants much more than talk in addressing the cedi's challenges following the Vice President's boasting of the Akufo-Addo administration's handling of the Ghanaian economy. At a town hall meeting on Wednesday, Vice President, Dr. Mahamadu Bawumia used the Mahama administration as a yardstick to measure the NPP’s performance. “The data on the annual rate of depreciation of the cedi in recent years shows that the worst performance so far under the NPP government is the 8.4 percent depreciation we saw in 2018. That worst performance is better than the best performance under the previous government between 2012 and 2016,” The Vice President said. But in an interview on Eyewitness News, Mr. Pianim said the Vice President’s sentiment had no bearing on the pockets of Ghanaians. The fundamentals affecting the cedi are largely influenced by Ghana’s dependence on imports. Mr. Pianim also added his voice to calls on government to focus on building a manufacturing economy. The economist also commented on the potential bi-partisan probe of the recent cedi struggles saying there were no merits in a short term probe into the cedi.